At it’s core, it embodies each level that I look for in the flavor profile of an ideal cocktail. It’s highly aromatic, packs a great level of citrus acidity and well—it’s quite strong. Furthermore, the Hōkū is a nod to South East Asia and the Pacific Islands. The Hōkū begins with a Kaffir Lime Infused Gin. Kaffir limes are prevalent in Southeast Asian cuisine and have not only a distinct flavor but appearance. On average they are the size of a small golf ball but have a bumpy exterior. They have a wonderful citrus tone that is reminiscent of lemongrass. To make Kaffir Lime Infused Gin, place 15-20 kaffir lime leaves that have been slightly torn in a mason jar (or other resealable container). Add the zest of 1-2 kaffir limes and top off the jar with your choice of gin. Cap the jar and refrigerate for about 2-3 weeks, shaking the jar every few days. You’ll be surprised how well the kaffir limes pair with gin and it really adds such an unexpected kick. The other wonderful component to this drink is starfruit. Not only are they quite pretty but they’ve got a unique, subtle flavor. To me, starfruits taste a bit like a grapes with a hint of citrus. I muddle starfruit with the kaffir lime infused gin, kaffir limes and a bit of sugar. The juices are then topped off with tonic water. 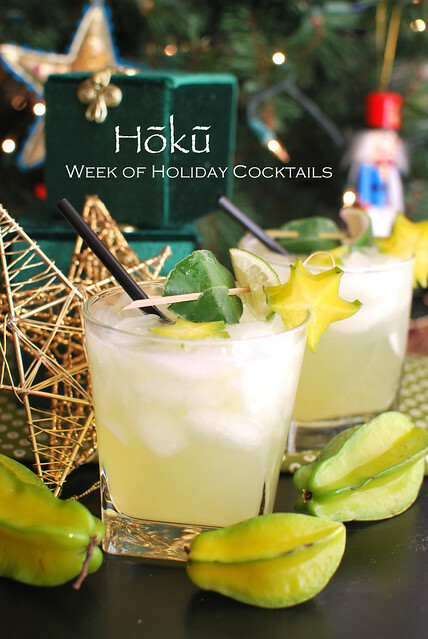 As for the name, Hōkū is the Hawaiian word for star. 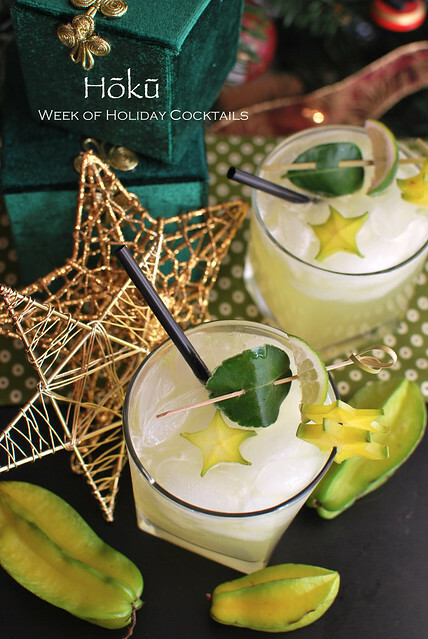 In a cocktail shaker, muddle the starfruit, lime, and raw sugar. Add the gin and fill the shaker halfway with ice. Vigorously shake for 15-20 seconds and strain the liquids between two glasses filled with ice. Top off each glass with the tonic water and add a dash of bitters to each. 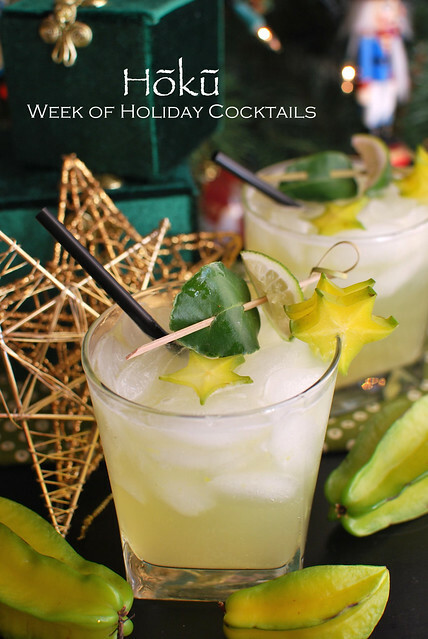 Garnish with starfruit slices and kaffir lime leaves. A tropical gin cocktail— now that is something I haven’t tried, but man it looks freakin’ tasty!